Our Culinary programs have moved! You can now find them under Workforce Development. The Dental Hygiene program is four semester program and prepares graduates to be eligible to take the National and Regional board exams and state laws exam to become a Registered Dental Hygienist. This five semester program provides you for employment in the fitness industry – from a Certified Personal Trainer (CPT) to a Group Fitness Instructor (GFI). The Associate of Applied Science in Laboratory Sciences will include majors in Cannabis Laboratory, Chemical Laboratory, and Medical Laboratory. 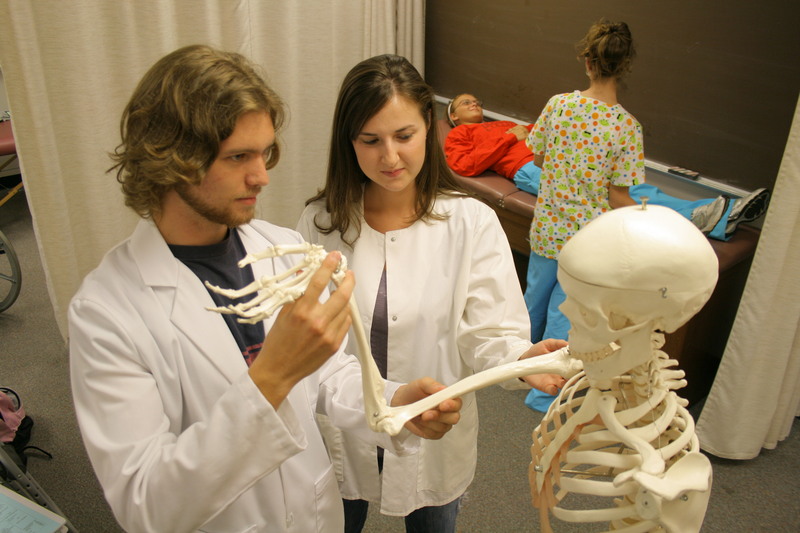 The Massage Therapy program is a four semester, clinically-oriented program, which prepares students for licensure by the Ohio State Medical Board. This certificate program is a two year, part-time, evening program that provides you with the fundamental skills to become a massage therapist. After 2 years, the Medical Assistant program enables you to work in ambulatory settings, such as physicians' offices, clinics and group practices, and perform administrative and clinical procedures. The Medical Records/Health Information Management program will prepare you for an exciting career as a Certified Associate in Health Information Management Systems (CAHIMS) in 2 years. Hocking's 5 semester Physical Therapist Assistant program is accredited by the Commission on Accreditation in Physical Therapy Education. The Diploma in Practical Nursing Program is a full-time three semester program that prepares graduates to take the National Council Licensure Examination for Practical Nurses (NCLEX-PN® Examination) which measures the competencies needed to provide safe and effective nursing care*. The Associate of Applied Science in Nursing (AASN) Degree / Registered Nursing Program is a full-time four semester program in the nursing major, after the completion of one semester of general studies, that prepares graduates to take the National Council Licensure Examination for Registered Nurses (NCLEX-RN® Examination) which measures the competencies needed to provide safe and effective nursing care*. The State Tested Nurse Aide (STNA) Program is a 160 clock hour course provided over 4 weeks. Upon successful completion of the course, the graduate will receive a Certificate of Completion issued by the Ohio Department of Health which allows the nurse aide candidate to be able to register to take Ohio’s competency and evaluation test to become a STNA. The PN2RN track is a three semester course of study that allows a Licensed Practical Nurse to complete the requirements for an associate's degree and become eligible to take the NCLEX-RN. Learn more about careers in the Allied Health fields with our e-books. Hocking College’s 2 year Accounting and Financial Services program offers a wide variety of training to meet the needs of the accounting field. 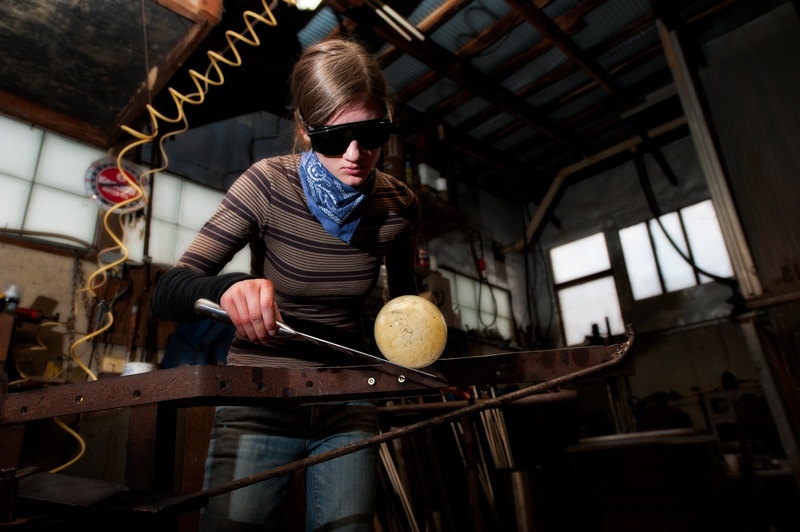 At Hocking College, students develop the skills necessary to become accomplished artists in the two-year art and design degree program. The curriculum for the Associate of Arts (AA) degree, grounded in the traditional liberal arts, prepares students to enter a broad variety of bachelor's degree majors. The Associate of Individualized Study (AIS) is an individually planned program designed to serve an educational objective that isn't offered through another Hocking College program. The Associate of Science (AS) degree prepares students to enter a broad variety of bachelor's degree majors with a focus on either social or natural sciences after 2 years. This 2 year program combines two or more technical degree programs from Hocking College to fit a student's unique needs. In 2 years, Hocking’s Business Management and Entrepreneurship program prepares you for work in a variety of business management jobs. Securing data systems is a major ongoing challenge in today's world, and the 2-year Cybersecurity and Network Systems degree program can prepare you to enter this field. This 2 year program enables you to become licensed and work as an early childhood educator in Ohio schools, and gives the foundation to pursue a Bachelor's degree and become a full-time teacher. The Film and Video Production program will include courses and material in various film crew positions. This music management program is designed to prepare students for careers in music production and music management in two years. This 2 year office management program emphasizes communication, information management, and administrative procedures vital for success in today's business office. The OTM prepares students with an Assoc. of Art or Assoc. of Science to transfer to another public institution in Ohio. Hocking College offers a one semester certificate program that prepares students to take the state of Ohio's Real Estate exam. In 2 years, Hocking College’s Website and Application Development program prepares students for an entry level position as a website or application developer position. Learn more about careers in the Arts, Business, and Science fields with our e-books. The 2-year Agroecology program uses the study of ecology to evaluate the productivity of agricultural systems. The 2-year Associate of Applied Science in Animal Assisted Therapy will include majors in Equine and Canine, including short-term certificates in Canine Training Specialist and Pet Grooming. The Canine Certificate program will allow students to major in either Canine Training or Pet Grooming. In 2 years, students will experience some of the most unique training opportunities by obtaining skills that focus on travel that is environmentally sound, culturally sensitive, and economically sustainable. The 2 year Equine Health and Complementary Therapies Program teaches students traditional and non-traditional equine health care. Hocking's 2 year Farrier Science program offers both techniques for shoeing horses as well as a business plan to get you started in establishing a successful farrier business. The Fisheries Resource Management and Aquaculture program prepares you for a career working with both game and non-game species for fish in just 2 years. After 2 years, graduates of the Forest Management program have the skills to gain employment with public and private forestry organizations. The GeoEnvironmental Science program prepares you to work daily to preserve and restore the quality of our natural environment in just 2 years. The Geographic Information and Global Positioning Technology trains students in mapping, scientific data collection, computers and much more, in just one year. The Natural Resources Law Enforcement program prepares students for emergency service and visitor assistance careers in natural resources fields in 2 years. In 2 years, students in the Parks and Museum Education Program are trained to educate others about the environment and human connections to it. In just 1 year, the Timber Harvesting/Tree Care Certificate provides experience in basic climbing equipment and its proper use in tree forestry. The 2 year Water and Wastewater Management program teaches students comprehensive skills in collecting, analyzing, distributing, and monitoring water/wastewater. In this 2 year program, graduates will gain practical experience in working with horses, mules, and people in wilderness settings. The 2 year Wildlife program is a hands-on, experience-based curriculum that teaches field skills and a strong conceptual understanding of wildlife management, ecology, and conservation. Learn more about careers in the Natural Resources fields with our e-books. Hocking's Addiction counseling program is Ohio’s only two-year program that prepares you for licensure as a chemical dependency counselor. This 2 year program gives students the ability to attend the Ohio Peace Officer Training Academy in the fourth semester. The EMT certificate program prepares students for entry level employment as an Emergency Medical Technician or Paramedic (Advanced Life Support) in 2 years. Fire and Emergency Medical Services is a 5 semester program that prepares students to meet community needs for fire and emergency medical protection. The Firefighter II Certification is one of the fastest growing certificate programs at Hocking College and can be earned in just 1 semester. The Ohio Peace Officer Training Academy (O.P.O.T.A.) certification is one of the most popular Hocking College certificate programs and can be earned in just one semester. Learn more about careers in the Public Safety fields with our e-books. The Advanced Energy Program provides students with the skills necessary to enter a career in the growing field of Photovoltaic (PV) installation in 2 years. Hocking College’s 2 year Automotive Technology program trains students in conventional and advanced vehicular service techniques. Hocking College’s 2 year Culinary Arts program teaches the fundamentals of baking and pastry production as well as the management skills of the modern kitchen. 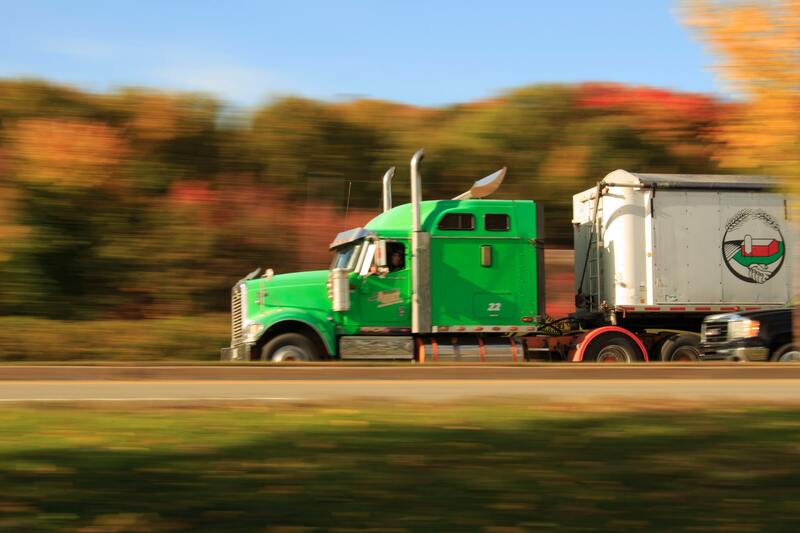 Hocking College's CDL Training School offers truck driver training in a variety of course models to fit any timeline and only takes 1 semester to earn your CDL. In 2 years, students in the Carpentry program are prepared to be involved in planning, estimating, scheduling, and execution of a variety of commercial and residential projects. The Electrical Construction Management program trains students in commercial and residential electricity management and skilled craftwork in just 2 years. Hocking College’s 2 year Culinary Arts program incorporates cooking and management skill training in a state-of-the-art cooking laboratory. The Associate of Applied Science in Fermentation Science is a 2-year program and will include majors in Craft Brewing, Viticulture and Wine Making, Distilled Spirits and Culinary Fermentation. This 2 year program helps students to become proficient in operating machines like bulldozers, tracked excavators, backhoes, skid steers, off road dump trucks, and more. The Heavy Equipment Operator Certificate provides training and experience in the operation of heavy equipment, as well as the fundamentals of equipment maintenance and repair in just one year. This program focuses on providing students with the opportunity to gain hospitality training and a broad knowledge of the business side of hospitality and restaurant management in just 2 years. This 16-week training in welding uses a variety of AWS certification models that offers training in methods like ARC, MIG, TIG, soldering, metallurgy fundamentals, pipe welding, and more. Learn more about the careers that our Workforce Development fields will prepare you for with our e-books. Hocking College is currently developing new academic programs. All of the developing programs are expected to launch by the Autumn 2019 semester.